When Tom accidentally crosses to the Otherworld in search of his missing grandfather, he is dismayed to learn of another reason why he's been drawn to this mystical land. The Lady of the Lake has a task for him. He must travel to Avalon and wake King Arthur from his enchanted sleep. Tom discovers the ancient stories are real - and so are ancient enemies. 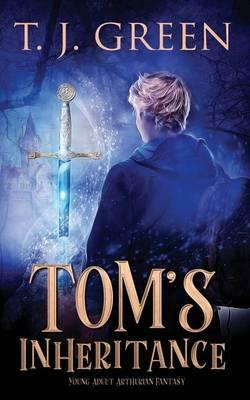 A magical tale of fantasy and fun, for older children and all lovers of Arthurian legend. T J Green was born in England, but moved to New Zealand 10 years ago. She currently lives near Wellington with her partner and her cat Sacha. Tom's Inheritance is Tracey's first book and was written in between studying for an English degree and working full time. She is currently working on a follow up to Tom's Inheritance called The Twice Born.